This weeks #tbt look is a green smokey eye that I did 2 years ago. With both top and bottom false lashes,this look is quite dramatic, however the colours are perfect for autumn 🙂 Check out the orginal blog post here with a full product list. I love falsies and I like what you were wearing… you’re right, the bottom ones make the look dramatic! Beautiful! This makeup look is gorgeous! I LOVEE your eye look! I SWEAR I dreamt of a look similar to this and have been meaning to create it. You are really talented and really beautiful! New sub! 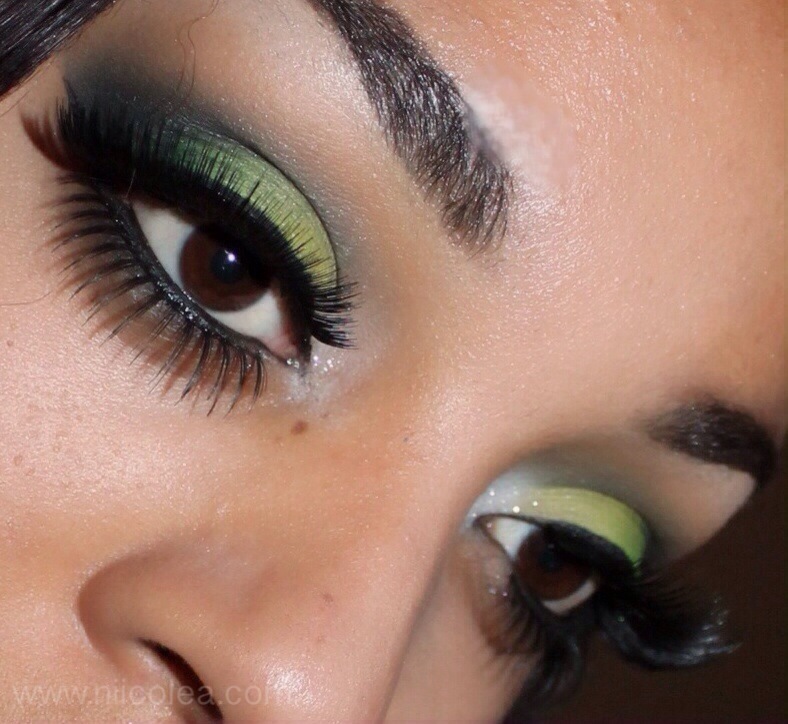 This green smokey eye is absolutely amazing! very beautiful hun! Thank you for following my blog! I am now a new follower of yours and you have some really great post!